LOCK LACES are 48” in length which can stretch up to 72” and are .25 cm in diameter, 7-strand fibers. The laces are a one size fits all for both children and adults. It is recommend that the user’s foot is inserted in the shoe during the installation process prior to trimming the excess lace 2-3 inches from the Lock device then attaching your Cord Clip end piece. Each package of LOCK LACES contains 2 laces, 2 Lock devices and 2 Cord Clip end pieces suitable for lacing up 1 pair of shoes. Who can wear LOCK LACES? LOCK LACES are ideal for everyone, from runners and triathletes, to kids, senior citizens and individuals with special needs. 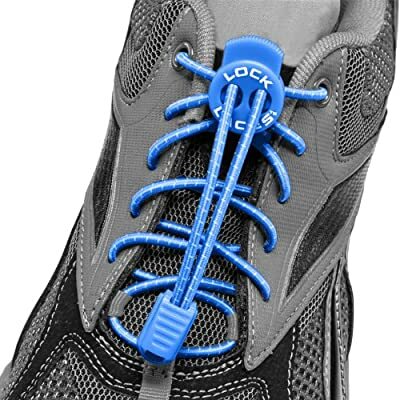 LOCK LACES also give some users the independence and confidence to slip on and off their shoes without having to depend on others for assistance. LOCK LACES are also fashionable with their catchy colors which match most shoe brands and models (who wants to wear Velcro)! What separates LOCK LACES from their competitors and other products is the overall quality of the lacing system which includes being water resistant, durability, ease of use and simple installation. The laces are elastic which give the user an extra stretch-fit comfort and support by conforming to the users foot which reduces heel slippage and pressure points along with increasing blood flow throughout the foot. TIME SAVER UTILITY: Never worry or stress about ever tying your shoes again during any activity. Our LOCK LACES are the original PATENTED (US Patent # 6026548) no tie laces that were developed 02/22/2000 and have the ability to turn your shoes into a slip-on. SIMPLE INSTALLATION: Quick installation and easy to use. One size fits all; LOCK LACES are 48" inches in length and can stretch up to 72" inches. Recommend installing our lacing system while the foot is inserted in the shoe to allow for a more custom and secure feel. Each package of LOCK LACES come with 2 Lock pieces, 2 Cord Clips and 2 Laces suitable for lacing up 1 pair of shoes. EXTRA COMFORT/SUPPORT: LOCK LACES conform to your feet for better comfort and support as opposed to regular flat/nylon laces. LOCK LACES also reduce pressure points at the top of your foot and give your feet a better feel throughout the day which allow you to increase your performance during any activity. 100% SATISFACTION GUARANTEE: LOCK LACES are guaranteed for the life one use on a single pair of lace up shoes. 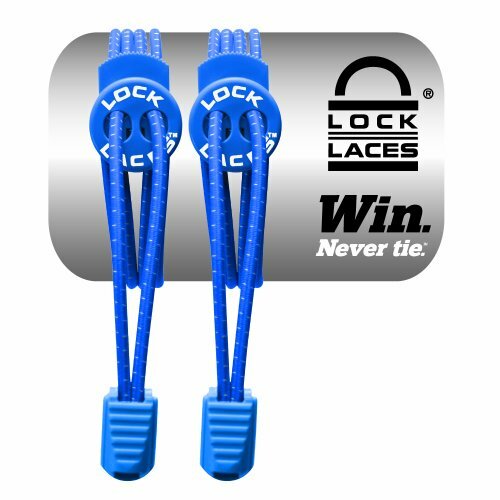 LOCK LACES have a quality design built in to their elasticity which makes for a premier product which will outlast your pair of shoes with their durability features such as being water resistant. PERFECT FOR EVERYONE: Whether you're a runner training for the Boston Marathon, Mom wanting to put an end to united shoelaces in your kids shoes or if you're rehabbing an injury/surgery (knee replacement) during physical therapy, LOCK LACES make an ideal utility product for everyone. 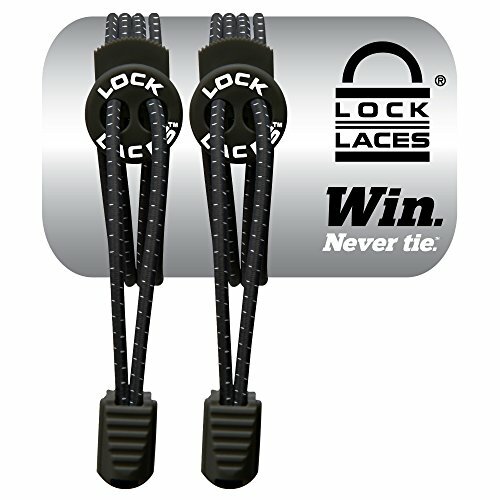 LOCK LACES are also great if you are trying to reduce your transition time for your upcoming triathlon, suffer from arthritis, tired of laces in your golf shoes breaking, an active senior citizen or suffer from neuropathy because of diabetes, LOCK LACES can make a positive life changing impact.